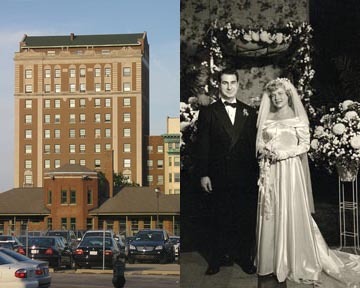 Getting married at the St. Nicolas Hotel was a big deal in 1948. It was the grandest hotel in Springfield, Illinois. A mere three months between meeting on Labor Day and getting Married on Halloween, the wedding was a full gala event.